This afternoon Katy wanted to give Dolly a push in the swing. 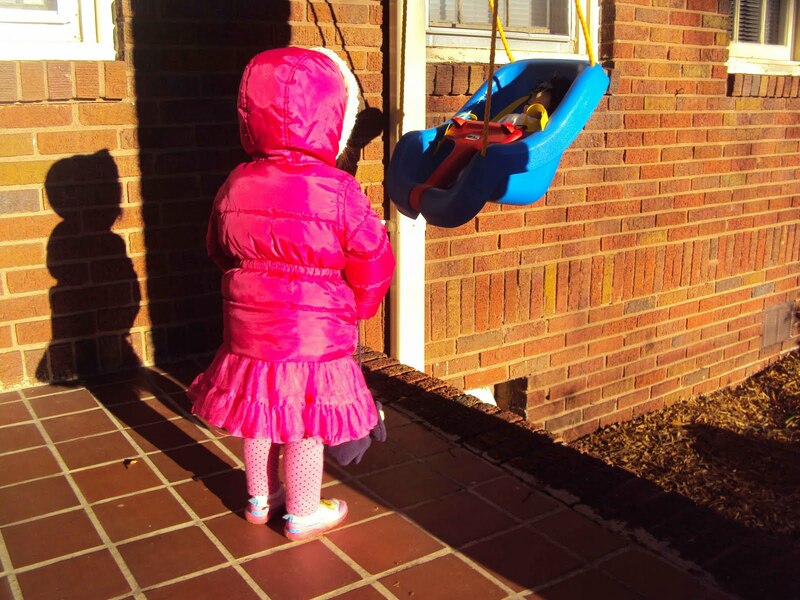 At the same time that I placed Dolly in the swing, Katy discovered that her winter jacket had pockets (which she loves to exclaim, "Pockets! Pockets!"). With her hands in her jacket pockets, I asked Katy, "How are you going to give Dolly a push (on the swing)?" Katy looked up at me and then proceeded to push the swing with her belly! Now that's using your noggin!